Using a transparent OLED screen from Samsung, the duo has devised a prototype computer that reverses the traditional setup of desktop PCs. In their model, the keyboard is at the back of the see-through monitor, allowing users to type as well give 3D input to the screen in front. This three-dimensionality is made possible by cameras that sense depth, as well as track the user’s head movements. 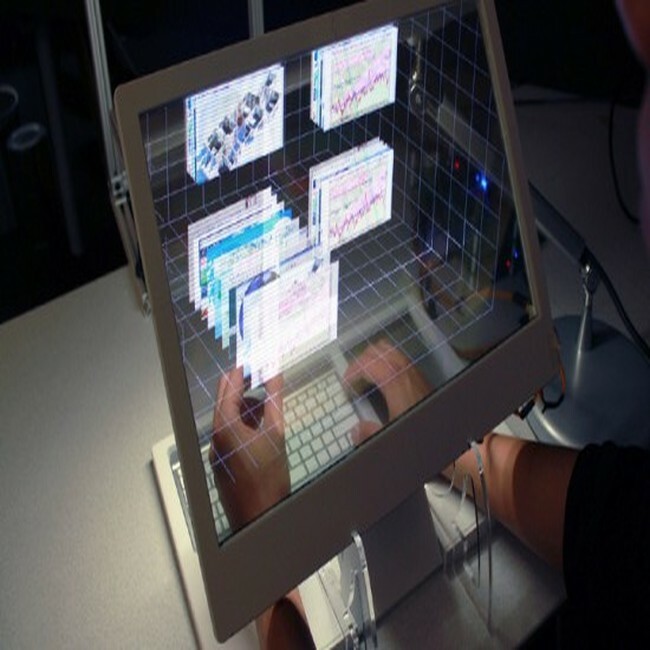 Thus, the computer is aware of the perspective of the user and is able to provide a genuine 3D view on the screen. This prototype, however, is far from being available to consumers as there are several issues that need to be settled. For instance, it appears uncomfortable for users to slip their hands under the screen to access the keyboard. Also, users who are unable to type without looking at the keys might have a hard time typing given that the screen could partially obscure the keyboard, even if it has a high opacity. Still, the See-Through 3D Desktop might inspire engineers to think out of the box and imagine new designs, rather than churn out models that are similar to each other.